Your favorite Harlequin Heartwarming authors are back with fifteen all new stories set in charming Christmas Town, Maine. Save on your next Heartwarming purchase. Details inside the book. This holiday season, warm your heart with 15 connected sweet, clean & wholesome holiday romances set in Christmas Town from 15 Harlequin Heartwarming authors who are USA Today, national bestselling, and award-winning authors. There are five connected books in A Heartwarming Holiday. That means each set of three novellas shares characters and storylines! 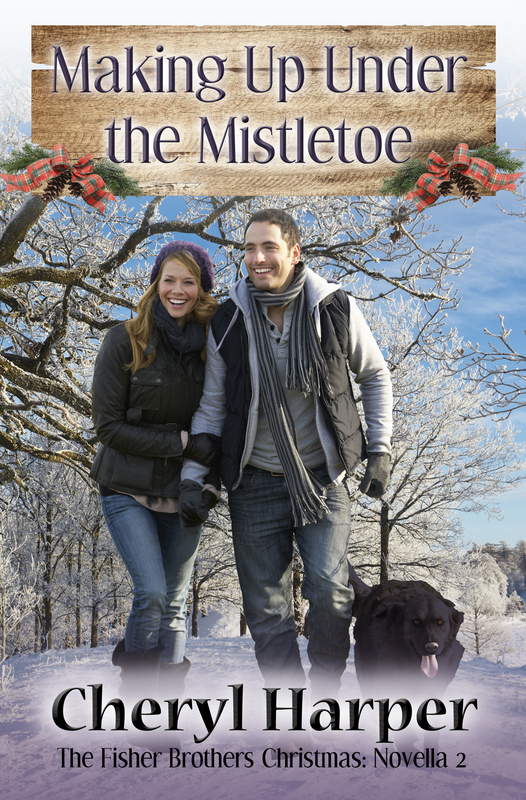 This collection of PG-rated holiday romances are all set in Christmas Town, Maine, a location introduced in the 2014 Harlequin Heartwarming release Christmas, Actually. A Heartwarming Holiday will bring you laughter, tears, and happily-ever-afters (no cliffhangers), for more than 1200 pages. Three former college roommates start a business to bring the magic of the holidays to everyone in Christmas Town. Three former Navy SEALs come together to restore an outdated resort. Romance is being delivered to 24 North Pole Lane this holiday season. Three different times, three different stories. They all bring magic to Christmas Town. As the stage production of the Nutcracker unfolds in Christmas Town, three couples find love with the help of a little holiday magic! There are four connected anthologies in A Heartwarming Christmas. That means each set of three novellas shares characters and storylines! This collection of PG-rated holiday romances are all set in Christmas Town, a location introduced in the 2014 Harlequin Heartwarming release Christmas, Actually. A Heartwarming Christmas will bring you laughter, tears, and happily-ever-afters (no cliffhangers), for more than 1200 pages. Coming Home to Christmas Town anthology by Melinda Curtis, Anna Adams, & Anna J Stewart: Three adopted siblings gather for the holiday season and closure after their father dies. The Fisher Brothers Christmas anthology by Carol Ross, Cheryl Harper, & Amy Vastine: Three brothers with a Christmas Eve family tradition in jeopardy until love leads them home. Gifts of the Heart anthology by Tara Randel, Leigh Riker & Cari Lynn Webb: In the spirit of Christmas, three siblings reconnect to find romance, special gifts – and each other. Ivy scrolled through the other messages she’d been ignoring all day long. All from Josh. All worried. Updating the website to reflect the next year’s season and tour dates had taken three times longer than it should have because she kept picking up her phone. If she had an answer, she’d give it, but she’d have to spend time grieving first and she had no time for that. Not until Christmas was over. Then her father would know they were splitting. Josh’s parents, who’d taken her in and loved her like a daughter, would treat her like an acquaintance. And she would be. The Ivy she’d been in the eight years she and Josh had been together would be shattered. Whatever she built out of that mess would be new. I’m fine, but I’m driving tonight. Headed out on my first tour. I’ll call you later. He didn’t deserve to worry, even if his stubborn insistence that he had to leave Christmas Town was tearing them apart. That morning, after she’d demanded to know what was in the PFD envelope she’d found while cleaning up their desk, he’d informed her he’d taken the entrance exam. Without telling her. Outlining calmly all the reasons it was a bad idea to leave Christmas Town hadn’t worked. Instead of agreeing, he’d snapped, “For once in our lives, do what I want, Ivy. Come with me or…” She’d waited for him to fill in the blank on that ultimatum for half a second before running away. Ivy stared hard at her phone for half a second, willing him to apologize, tell her she was right, beg her to come back. Instead, all she saw was that she was two minutes later than she’d started. “Work. Do the work. Then you have two days to convince Josh to change his mind.” She’d always been able to before. The anxious twist of her stomach made her wonder if this was the time she’d fail. Standard operating procedure was to walk around the bus to check the tires and make sure it was road ready. She’d done all the research and built the safety checklist herself. She couldn’t skip it, not even to make up time. As Ivy was trotting around the end of the bus, she noticed a long, skinny black nose poking out from behind the left rear tire. Ivy squatted to peer under the bus. A shivering black dog of indeterminate heritage stared at her, his or her ears quivering along with the tremors that shook a long body. “Perfect.” Ivy held her hand out and wiggled her fingers. She wasn’t a dog person. Or a cat person. Or the kind of person that wanted to clean after any animal, two-legged or four-legged. But she also wasn’t a monster. “It’s too cold out here for you, baby,” Ivy said softly and made kissing sounds. Josh did that with every dog they ever met on the sidewalk. It must be the universal sound of “I’m an okay person” to dogs because this stray inched forward on his belly, shaking, while his tail pounded in hard thumps on the asphalt. “Come on. We don’t have time for a lot of conversation, mister.” She wasn’t sure why she thought this dog was a boy. Probably because he was disrupting her plans. She should name him Josh Junior.